Explanation: The scene might have been considered serene if it weren't for the tornado. During 2004 in Kansas, storm chaser Eric Nguyen photographed this budding twister in a different light -- the light of a rainbow. Pictured above, a white tornado cloud descends from a dark storm cloud. The Sun, peeking through a clear patch of sky to the left, illuminates some buildings in the foreground. Sunlight reflects off raindrops to form a rainbow. 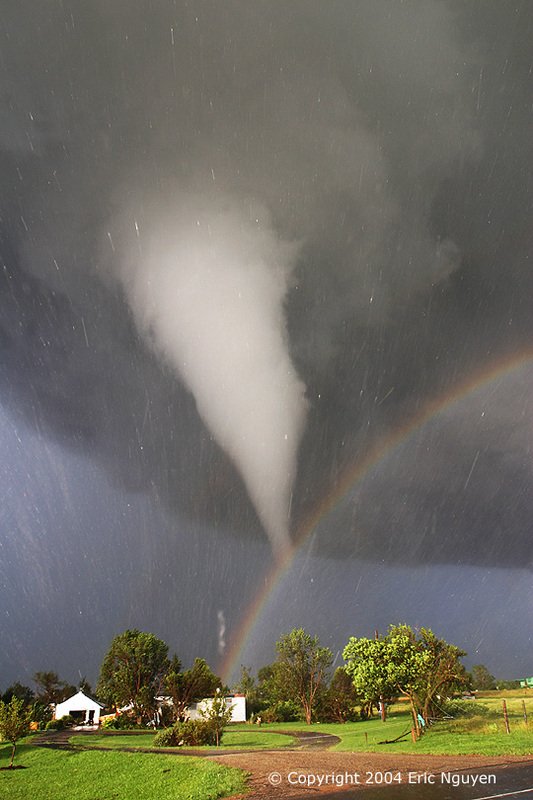 By coincidence, the tornado appears to end right over the rainbow. Streaks in the image are hail being swept about by the high swirling winds. 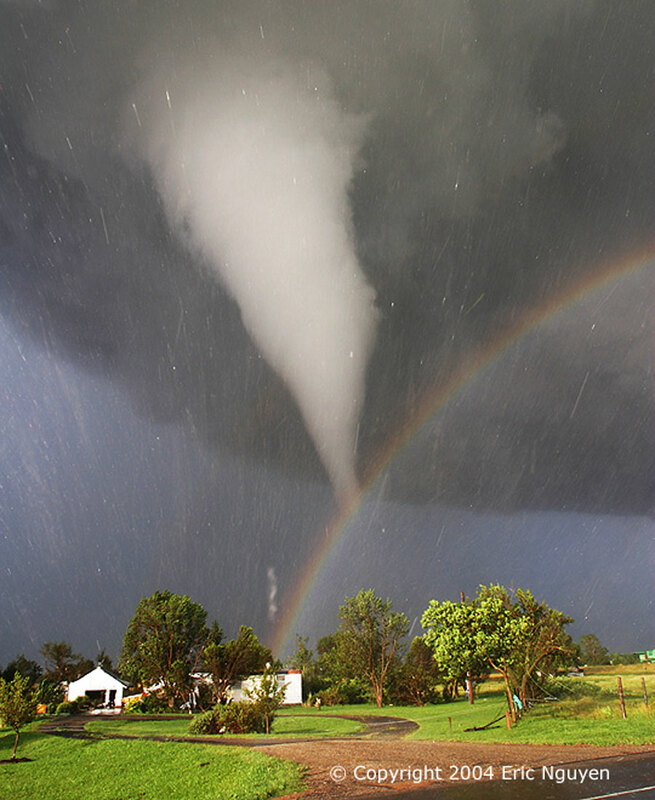 Over 1,000 tornadoes, the most violent type of storm known, occur on Earth every year, many in tornado alley. If you see a tornado while driving, do not try to outrun it -- park your car safely, go to a storm cellar, or crouch under steps in a basement.